Have you ever asked yourself where the charcoal you use in your residential house in the city comes from? Are you interested in knowing the source of water you collect from your tap? How about the timber that you use for building our houses? What about that nice environment you enjoy and makes you relaxed when faced with daily stress? Let’s walk together as we share the answers to all these questions and more. Trees absorb carbon dioxide, storing the carbon while discharging oxygen back into the air. The impact of this poisonous gas that is a big contributor to climate change is thus greatly reduced. Trees in the forests provide fruits that are nutritious for human beings, birds, and wild animals. Pasture for livestock and wildlife are also found in the forests. Most pastoralists thus use forests as grazing areas during the dry season. Honey which is loved by many people as healthy as compared to refined sugar is also mostly harvested in the forests. Honey is not only food but also medicine. Forests provide a home to wild animals, insects, and birds. These important resources act as tourism attractions which also act as one of the main sources of revenue, especially in Kenya. Many people rely on charcoal as the main source of energy in rural and urban areas. Many people also rely on firewood for the same. Charcoal and firewood are all sourced from the forests. Forests are tourist attractions with a number of them frequented by visitors from within and abroad who come just to have fun, watch the animals and birds within the ecosystem or sometimes undertake research within the forests. One of the ways of exploiting this is through canopy walks like the one in Ngare Ndare forest in Meru County. Forests are places of worship for a number of community members in the country. Some of these communities include the Awer, Mji Kenda, Kikuyus, Luos etc. For the Mijikenda, the Kayas deep within the forests are for example important as places of prayers. Most of these communities also retreat back to the forests when faced with calamities like droughts or deaths and offer sacrifices in the shrines deep within the forest to seek answers. Property especially land without trees have a higher value than ones without. In the coast of Kenya, when one purchase land, part of the negotiation is for the coconut trees in the farm as they add more value to the land. The presence of the trees also shows the potential of the properties. 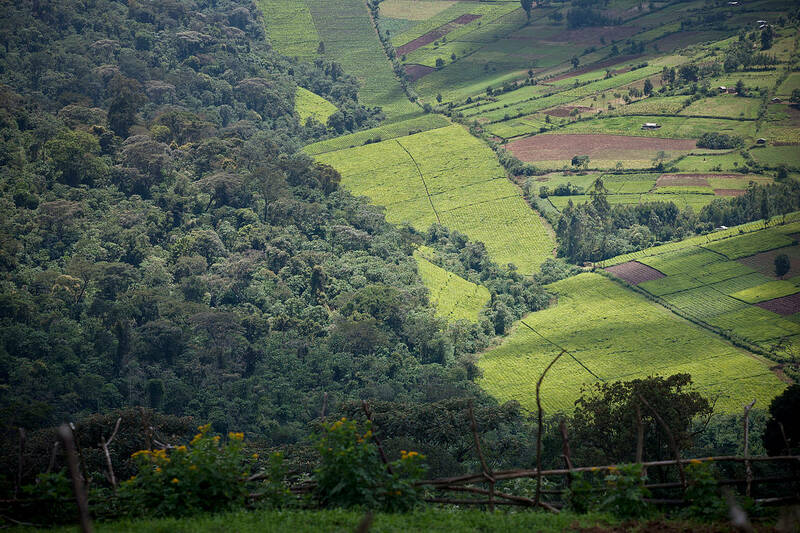 Forests are home to the indigenous communities like the Awer (Boni), Ogiek and the Bushmen. These are people who lives are totally dependent on the forests for their shelter, food, herbs, culture and everything else. According to www.nature.org. ‘more than 300 million people around the world actively live in forests’ Removing them from the forests is like removing their clothes and leaving them naked in a busy street. Many people get their livelihoods from the forests, these include people involved in the timber industry, paper making etc for who forests are the main source of income. Forest prevents damage to soils, properties, and buildings during floods as they reduce the veracity of such calamities. This goes a long way in reducing the loss of lives too that would have risen as a result of the calamities. Forests especially mangroves act as a buffer zone during calamities. During the tsunami calamity that hit the Kenyan coast in 2004 from Asia, the coastline that had more mangroves like Lamu wasn’t affected, unlike Malindi and Mombasa who have unfortunately cleared most of the mangroves and were badly hit. Trees enhance the aesthetic beauty of any place. They also provide a good environment for relaxation of residents and are some of the best places for the fitness enthusiasts who get the best places for jogging, cycling or even just walking while enjoying the attractive atmosphere. Franklin D. Roosevelt once said that “forests are the lungs of our land, purifying the air and giving fresh strength to our people”. Forests in some instances mean more than this as without forests; there is no life to talk about in the first place.